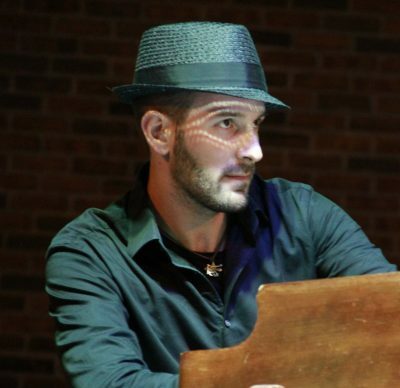 Born in Volterra, Italy, Luca Chiellini made the Hammond Organ his instrument of choice from a young age. He finds his inspiration in the jazz of Jack McDuff , the traditional and electric blues, the funk and soul sounds and the gospel music of the Baptist churches. Luca Chiellini performed in the classic Hammond Trio with left hand bass in notable European festivals sharing the stage with B.B. King, Buddy Guy, Muddy Water’s bass player Mac Arnold. In his background there is also rock music, performed in famous European Festivals like the Heineken Jamming Festival sharing the stage with Linkin Park, Queens of the Stone Age and Vasco Rossi. In Luca Chiellini’s past also notable performances for the motorbike MotoGP world champion Marc Marquez and Honda Racing Team at the Motogp Grand Prix 2013. Alligator Recording artist Toronzo Cannon, the new face of the Chicago blues with his Album “The Chicago Way “, now calls Luca Chiellini to come to the United States to perform with him, with a 2017 full of national and international touring and the recording of the new cd.